What Is Whole Grain White Bread? Whole grain white breads are made from white, or albino, wheat. Slices of whole grain white bread. 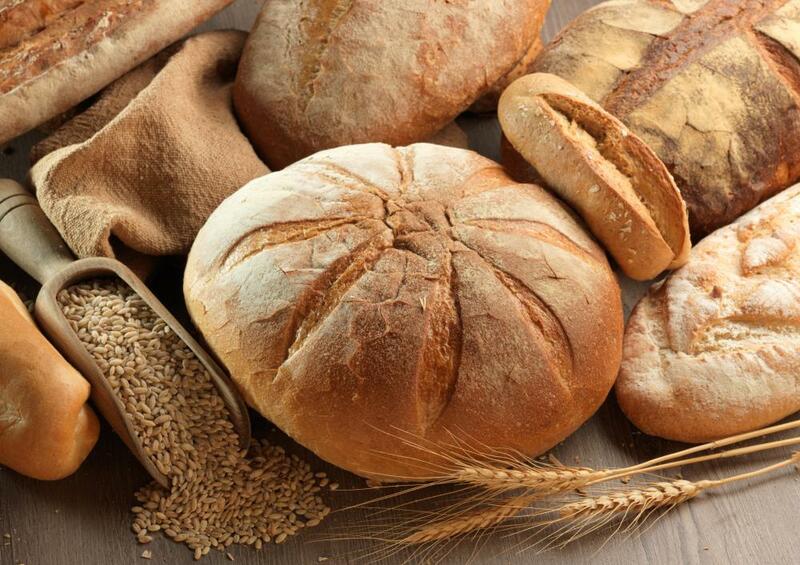 Whole grain white bread is made from flour that's derived from wheat. Whole grain bread and white bread are usually considered two different things, but thanks to genetic engineering, a type of bread called whole grain white bread is entirely possible. Whole grain bread, white bread, and whole grain white bread are all made out of flour derived from wheat; the type of wheat used and how it's processed are where the distinctions are made. 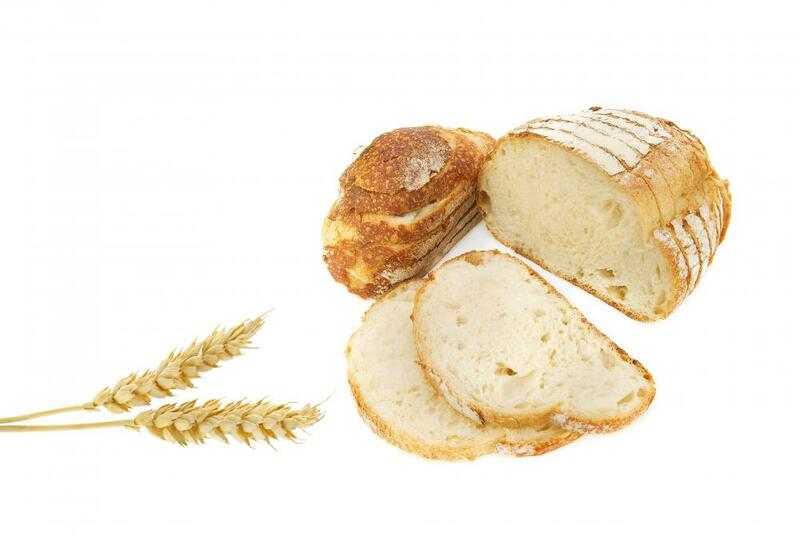 Whole grain white loaves are made using a specific type of wheat with a specific manufacturing process. All flour starts as a wheat grain, usually from the red wheat plant. The grain is harvested and processed into flour. Wheat kernels have three distinct parts: the bran, the germ and the endosperm. The bran is the outer husk and the germ is the actual seed that would have sprouted into a new plant if left in the field. The endosperm is the starchy part of the kernel that contains food and energy for the rest of the seed. Whole grain products are made by leaving the entire grain intact, and the grain is not tampered with in any way. Whole grain flour has all the nutrients and benefits of the germ, bran and endosperm of the wheat kernel. The complete nature of the grain is what gives whole grain foods their somewhat gritty, chunky texture. 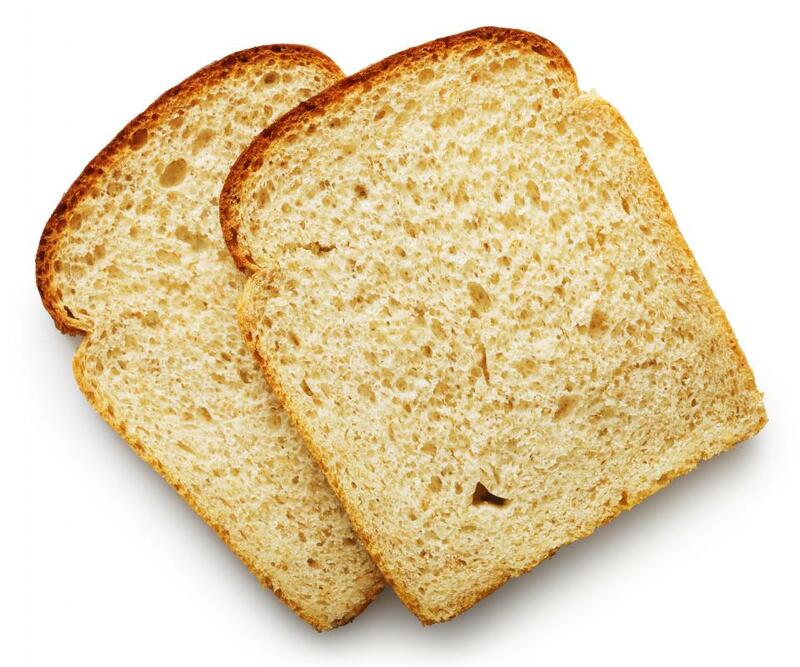 White bread differs from whole grain bread in that it only contains one part of the wheat kernel, the endosperm. The flour used to make white bread is starchier and contains less fibrous material and fewer nutrients than the flour used in whole grain products. The lack of fibrous material gives white bread its smooth texture. Additionally, white bread is made by bleaching red wheat grains, making it lighter in color than traditional whole wheat bread. Whole grain white bread is not made from red wheat. It is harvested from the white, or albino, wheat plant. White wheat does not have the same genetic markers for colors. It's paler and the finished product more closely resembles white bread without going through the bleaching process. The grains are left unrefined, giving the products their status as whole grain carbohydrates. A whole grain diet is generally considered healthier than one comprised wholly of refined flour products. Whole grains have fewer additives and contain more fiber than their altered counterparts. The more refined texture in whole grain white bread makes eating whole grains easier for some people, especially if texture is a factor. What Can I Make with White Whole Wheat? What Is Whole Grain Pita Bread? What Is a Whole Grain Pita? What Are the Different Types of Bread Maker Mixes?